Methadone Clinic: How Can it Help You Fight Heroin Addiction? A methadone clinic is a treatment facility. It uses Methadone as a part of medication-assisted treatment program for heroin addiction. 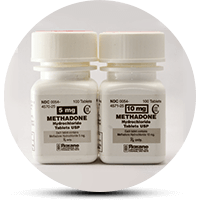 Methadone is an FDA-approved medication used in patients with heroin or opioid addiction. They don’t recommend its use in patients younger than 16 years. You can take it for both detox and maintenance therapy of heroin or opioid addiction. The main aim behind using Methadone to treat heroin addiction is to keep the heroin withdrawal symptoms in check. At the same time, they slowly lower the dosage. In addition, these treatment centers also provide psychological counseling and other auxiliary services. Furthermore, these patients will get a calculated daily dose of Methadone. Inpatient services: You can get the detox program in an inpatient setting. Outpatient services: If you are looking for the maintenance therapy of heroin addiction, you can get it in an outpatient setting. Private clinic: The patients in private Methadone clinics will pay for the treatment themselves (out-of-pocket payment) or through some private insurance. Government- or state- run clinics: Government agencies provide the fund necessary to run such methadone clinics. All methadone treatment centers should comply with the Federal Methadone Regulations. In addition, state laws can make certain changes in the admission criteria. These include staffing ratios, take-home policies, dosing limits, treatment duration, and patient rights. Understandably, the regulations for running a Methadone clinic in your state can vary depending on which state you live. How Do Methadone Clinics Work? A Methadone clinic provides a calculated daily dose of methadone to the heroin-addicted patients. The idea behind this therapy is to replace the heroine with something less harmful. They do this slowly controlling every step of the way. This way, the patient may not experience the shock of withdrawal. First, it reduces or helps to prevent the severity of heroin or opioid withdrawal symptoms. Second, it saves patients from risky behavior to obtain the drug. Such behaviors could be sharing needles or illegal criminal activities. How Long Do You Need To Stay At The Methadone Clinic? The duration of stay at the Methadone clinic can vary depending on the severity and type of the substance abuse. However, you should stay at the clinic for a minimum of 12-months to get the best results. Since the patients may have other co-occurring mental disorders or social problems, it could take longer than a year. What Are The Benefits Of Staying At The Methadone Clinic? The opioid addiction treatment is like choosing the lesser of two evils. In essence, you have to take Methadone to prevent or reduce the number of withdrawal symptoms from heroin addiction. Because Methadone is itself an opioid, using it may get you addicted. Nonetheless, the benefits of joining a Methadone clinic usually outweigh the risks. In addition, they only recommend Methadone treatment for patients who have been abusing opioid drugs for at least a year. They include using 135mg of Oxycodone, 90mg of Oxymorphone, 6 bags of 25% pure heroin and 200mg of Hydrocodone. In conclusion, treatment at a Methadone clinic is an approved way to manage opioid addiction. The risks from methadone treatment, methadone addiction being the most prominent one, are lower than its benefits. To make the overall treatment more effective and longer-lasting, Methadone clinics have facilities for other treatments. They include counseling, rehabilitation techniques, psychiatric consultation, cognitive behavioral therapy and other alternative treatments. You can get the best treatment for opioid addictions in a Methadone clinic offering both Methadone and supportive treatments. Need Help Finding Methadone Clinics In Your Area? Do you have any other queries about heroin addiction? Do you want to learn more about the Methadone clinic or looking for one near you? Talk to the experts. Click here for details. Addiction Resource » Addictive Substances: The Anatomy of Drug Addiction » Methadone Addiction and Treatment » Methadone Clinic: How Can it Help You Fight Heroin Addiction?